Nexmo is providing the SMS service. We can access the Nexmo service using RESTfull Webservice. To access the API we need to Api key and Api Secret as like many other services. All Services are Documented well here. But I came across the Inbound SMS. It was confusing. So, if anyone having the frustration with Nexmo Inbound SMS Api, This article will be very helpful. Usually we will send SMS from one mobile to another that is called Outbound SMS service. IF the other mobile replied to your SMS, that’s called Inbound. So Nexmo offers both Inbound and Outbound SMS services all around the world. There is some restriction in the Inbound service for some countries. First to get the inbound service you need to get the virtual number from Nexmo dashboard. Once you get, you can set the inbound SMS callback URL in your account settings area. Callback URL Should the 200 response. Note, Inbound SMS service is not implemented for all the country by Nexmo. If you are not in service area. Sorry you can’t use it. 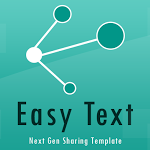 To send SMS you need to use this Webservice. It will send the outbound SMS to the mobile number. In the sending document nothing is described about Inbound SMS. Even if you check the Inbound SMS document, you can’t get the clear idea. If you want to have the inbound service you need to set your VIRTUAL NUMBER to from parameter. Okay here is the deal!. Once you attached the virtual number with outbound SMS. you are eligible to receive the reply text. At the time of the inbound SMS process. Your Callback URL will be triggered by Nexmo robots, so you can do the custom stuff over there. Hope this help someone. If you have any further question feel free to write the queries the Nexmo Help desk. They have wonderful support.